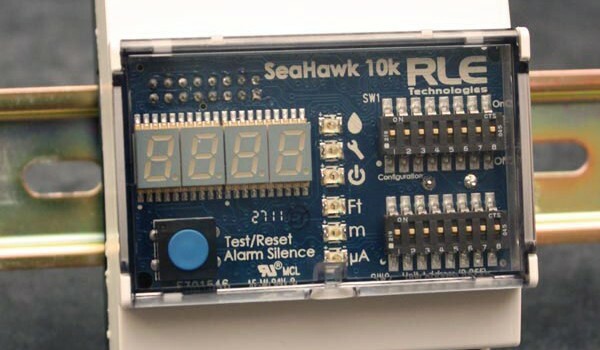 The SeaHawk 10K distance-read leak detection controller monitors up to 10,000 feet (3,048 meters) of sensing cable. It is compatible with all SeaHawk sensing cables and the SeaHawk SD-Z spot detector. This controller features an audible alarm and visible LED notification. 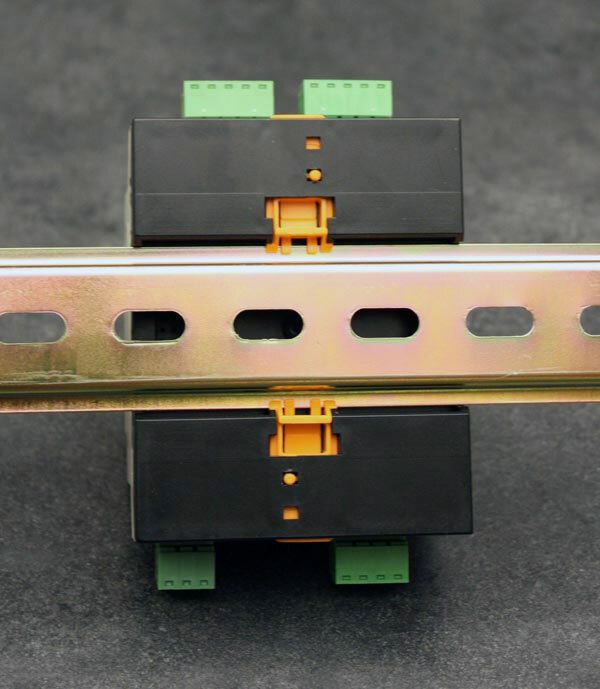 These features allow the 10K to serve as a stand-alone leak detection & notification solution. 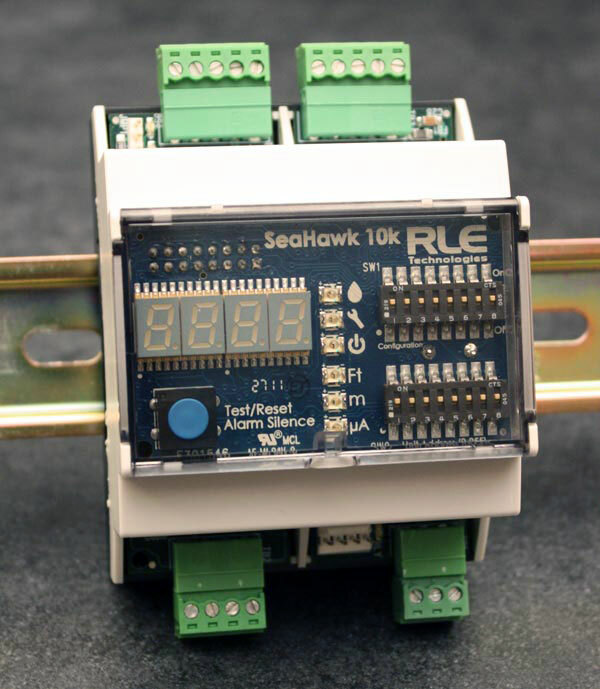 Although the 10K does not have a web interface, it can be networked with other RLE Web-accessible controllers or any other Modbus RTU-equipped monitoring system. The 10K retains its stand-alone features, while the Web-accessible controller provides a centralized source of monitoring, communication, and notification capabilities. Note: The 10K requires an isolated power supply. A power supply is not included with the 10K. Purchase RLE power supply PSWA-DC-24-ST or WA-AC-24-ST. Detection Response: When used with sensing cable, 5-990sec. (selectable). Modbus (RTU): Slave; RTU mode; Supports function codes 03, 04, 06 and 16 Master; RTU mode for integration with select RLE controllers or any Modbus master BMS/NMS. 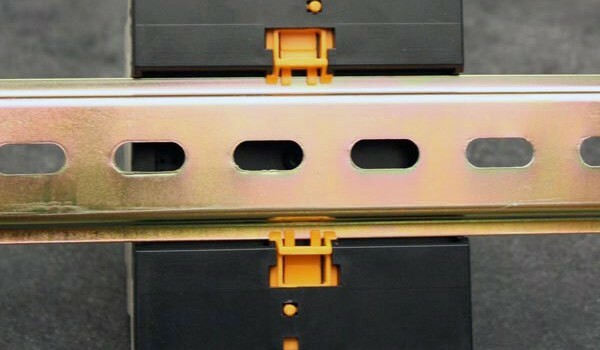 Addressable from 1-255. Audible Alarm: 85dBA @ 2ft (0.6m); re-sound configurable, 0-999min. 4-character LED: Displays leak or contamination distance or fault status. 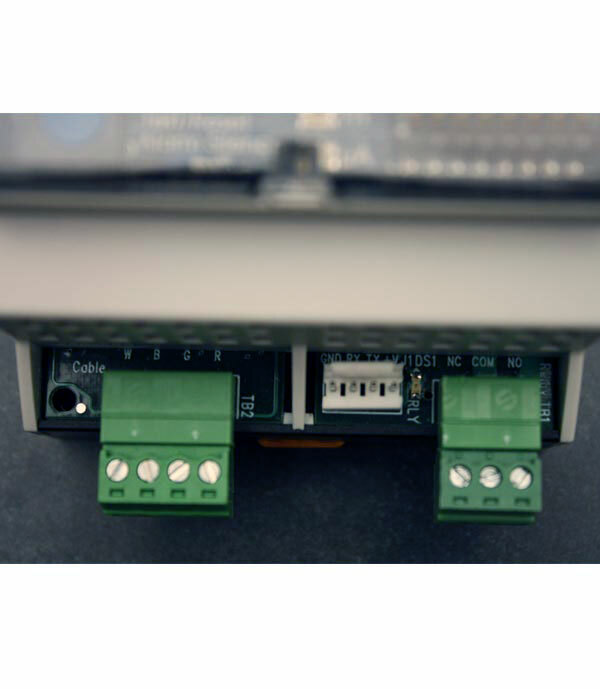 The 10K does not have a web interface, but can communicate via Modbus to any Modbus-equipped monitoring system. 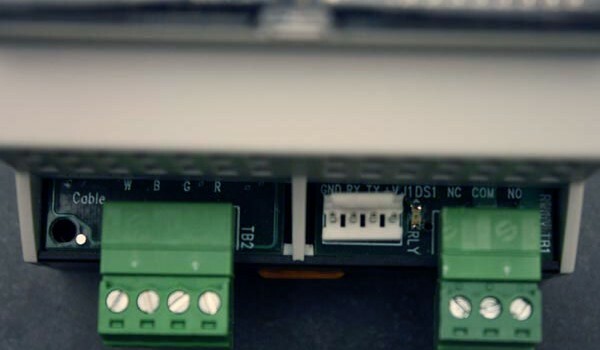 Use the dip switches on the front of the unit for configuration. The 10K requires an isolated power supply. Purchase RLE power supply PSWA-DC-24-ST or WA-AC-24-ST for use with the 10K.